Since the change, you know, since we moved from FXCM to GKFX, there’s been not so much as a lull but more of a ‘Heads Down’ and ignore everything else in order to focus on what’s what — primarily — the (new) Settings. Not much has changed except for the fact that we can now get into the True Flow or the True Trend of the DAX. Anyway, for those of you who are a dab hand at using GKFX, you must be doing well because we never hear from you and for those of you who are slowly making the transition, here are the Time Settings we are now using on the DAX. We’ll add the New Settings into the usual Files for you as a Subscriber to access and Load in the next few days. Oh yes and don’t forget to change your TPT Settings too as shown below. You may be thinking the Time Settings look a bit wonky and out of sync but since GKFX are using the timezone GMT +2, all we had to do was add 2Hours or two hours to our original Start Time of 07:03. To know more, please refer to the FREE Course Modules and some of the Modules will also need to be updated to match our recent progress, growth and innovative push forwards. Some of you like the Forex. Some of you particularly like the USDJPY, so we ran a test on the USDJPY to see what would happen. …and do be sure to switch your Use_TripletCurrency2 (in this example) to ‘True’. 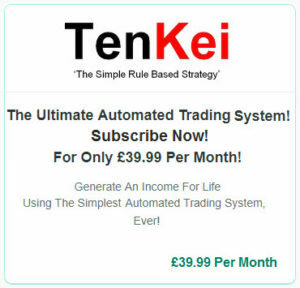 Setting the time for the Forex is pretty straight forward, so we set it to what you see below, to allow it to run for 24Hours but the USDJPY does start Trading nearer to 01:00 GMT which is when the Tokyo Market opens. 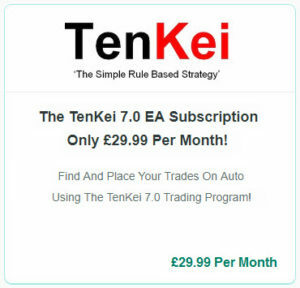 Remember, now we are using GKFX, you have to be mindful that they are GMT+2, so whatever time you currently use being GMT +0, you now have to add 2Hours to it, so in reality, our USDJPY below would start looking for Trades from 22:00 GMT. But today, we just switched the AutoTrading Button on manually and this is what we achieved from the USDJPY as shown below. We used the Contrarian 1Minute Chart with the 1M22F, 60M22F, 60M73F Input Settings. 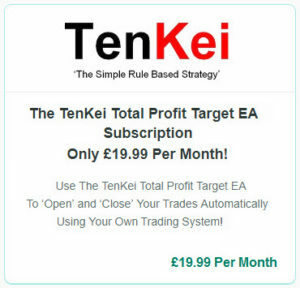 I’ve already mentioned that the TenKei Automated Trading Program is versatile, so if you are not the ‘Thinking’ and ‘Proactive’ type, you will miss out on it’s benefits and advantages. If you are the impatient type, you will also miss out on it’s benefits and advantages. But for those of you who are ‘Patient’ and (like to) follow what we do, which is what the Program is all about, you should follow what you see in the first two screenshots above as related to the DAX. Tomorrow, I shall be revealing to you what the DAX has been doing with the Settings as shown in Screenshots #1 & 2 above and of course with the Contrarian 1Minute Chart 1M22F, 30M22F, 30M73F Input Settings. By early next week, we should have all of those Settings stored in the Files for you as a Subscriber to access. There’s much to do and we are getting it all done, just for you!